Have you heard about functional training yet? It’s one of the most popular fitness boot camp classes in our Bethlehem gym. If you haven’t experienced it for yourself, though, you might think that this is another gym fad. Not only is functional training not a fad (it’s actually been around for decades! 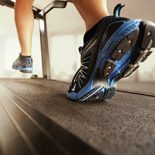 ), it could be the fitness routine that you’ve been looking for to elevate your physical performance. That’s because functional training isn’t about training for a weight-lifting competition you never want to enter or training for a marathon that you never want to run. Instead, it’s about conditioning your body to perform it’s best in everyday, regular activities. It’s real-life training for real-life conditions. Strengthening your core. You rely on your core muscles more than you probably realize that you do. Your core muscles are in the middle of your body; they are the muscles that make up your stomach, lower and mid-back, and your sides. Strengthening the core muscles is especially important for avoiding lower back injuries. Conditioning your muscles and joints to work together. When your muscles and joints work together as a single cohesive unit, you’ll get a stronger and more powerful performance out of them. That way no matter what activity that you are doing, you’ll get the best performance out of your body because it understands how to work as a single unit. Functional training grew out of some of the exercises that physical therapists use with their clients to rehabilitate their muscles and help them get ready to perform everyday tasks again after they’ve been injured. Physical therapists would create exercises that helped their clients gain the strength and functional ability to do things like go up and down stairs, lift a heavy box, or stretch for items high on a shelf. Functional training uses the same concepts and ideas as physical therapy and takes them to the next level. Instead of simply attempting to achieve a goal, functional training wants to help you do it in the most powerful, efficient way possible while helping you avoid injury to your body. You’ll practice and achieve actions such as pushing, pulling, carrying, squatting, and lifting. Functional training can also help you get better at actions that you repeat a lot; for instance, if you love to play baseball, functional training can help train your muscles to get into the correct position and follow through with the correct movement every time you are at bat. What is the Goal of Functional Training? Functional training trains your body how to do everyday activities in the most efficient, powerful way possible while also eliminating the risk of injuries. These exercises are going to help you do simple things, like unloading groceries or pushing your children on the swings, with the necessary strength. Building up your core and targeting specific muscle groups means you can do these tasks with a lower risk of pulling your muscles or enduring sprains and strains while also having more endurance to perform tasks longer. Functional training is all about making yourself better at the everyday activities you need to complete. If you’ve ever pulled your back out when lifting groceries out of the car or find yourself winded when pushing a stroller, you know how frustrating it can be to be out of shape for these daily activities. Functional training will help you train your body to excel at these tasks, so you can focus on your to-do list without worrying about injury or getting tired along the way. It’s as much about training your brain as it is training your body, as you teach your brain to tell your body how and when to move, gaining in performance and power. Plus, functional training is fun! It’s a break from the monotony of the treadmill or the free weights and can inspire you to stay on track towards your fitness goals. We offer functional training in The Yard! This is our 4,000 square foot outdoor training yard that’s filled with functional training equipment that, at first, might seem strange. You’ll see equipment that looks more like what you’d see on a playground. Our trainers use a variety of exercises such as press-ups, jumping and leaping exercises to build your explosive power, and even pushing sleds to build up endurance and resistance power. When you see people working out in The Yard, it looks more like they are playing games and having fun! And while functional training is a lot of hard work, it really is as fun as it looks. You’ll get to work out with a lot of like-minded people from the area who are eager to hit their fitness goals and will help cheer you on to reach yours, too. Are you curious about functional training? Want to see if it’s the right fit for you? Come try it out today. If you aren’t already a member of Steel Fitness, fill out the form on our website and claim your free pass. That way you can try out our functional training fitness boot camp for yourself and see if it’s what you need in order to reach your fitness goals. Don’t worry–if it’s not the right fit, we have dozens of other classes for you to enjoy or you can work with our personal trainers to customize a personal fitness routine. Give us a call, contact us through our webite, or stop by our Bethlehem location to start your new personal fitness routine today!